Speaking with The Hollywood Reporter, John Carpenter said that he thought that Metal Gear Solid was essentially a rip-off of his own Escape from New York from 1981. There are more than just a few overt references to John Carpenters work. 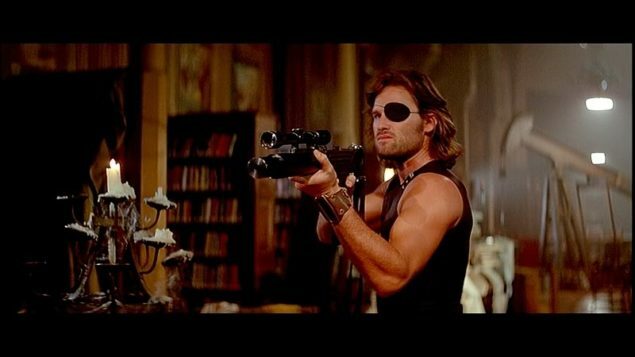 Solid Snake not only shares the same name as Snake Plissken, but they look so much alike that it’s almost a complete copy of Kurt Russell’s portrayal of the character. But there are other references to Escape from New York that are more deeply integrated into the story of Metal Gear Solid as well. If anything, however, Carpenter might think it’s more of a homage that plays tribute to a classic 80’s story with fantastical elements and impossible odds that are beaten by a lone warrior with the help of a few select friends. He knows Kojima and even says that he refused to pursue legal action because Hideo Kojima was a nice guy. Kojima, however, is now on an extended vacation that’ll likely end in his leaving Konami for good, as has been rumored to be the case after the release of Metal Gear Solid V: The Phantom Pain, which was launched on September 1st of this year.